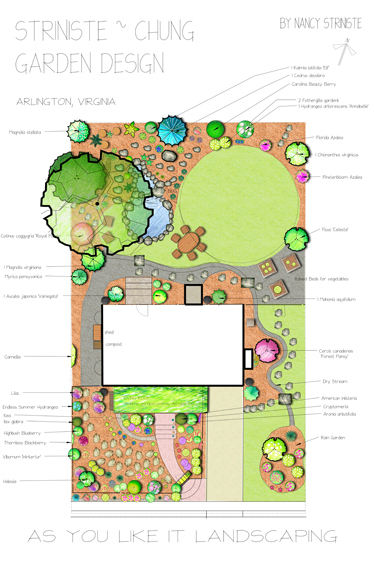 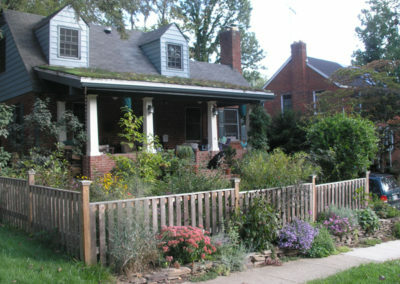 This is the home and test garden of sustainable landscape designer Nancy Striniste and family. 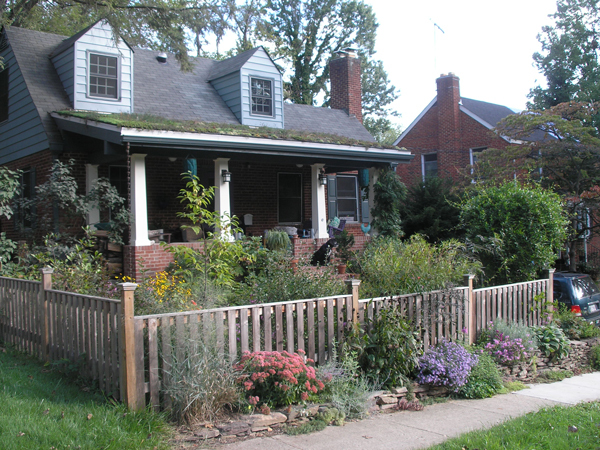 This award-winning garden is where clients visit to see many of the sustainable landscape ideas and native plants in Nancy’s designs. 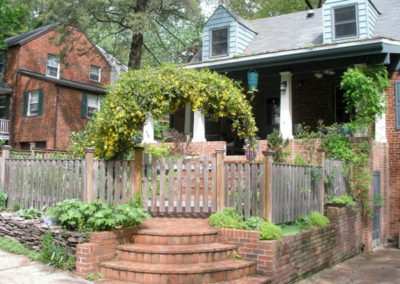 Along the front walk, a drystack stone wall overflows with perennials, herbs and cascading succulents. 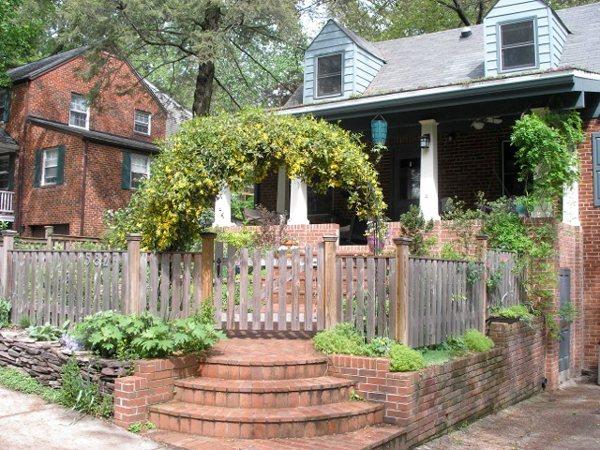 Enter under the Carolina Jessamine covered arch into a fenced cottage garden filled with native shrubs, vines, perennials and edibles. 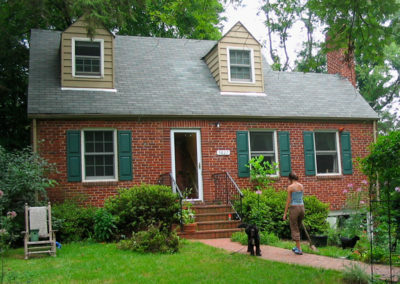 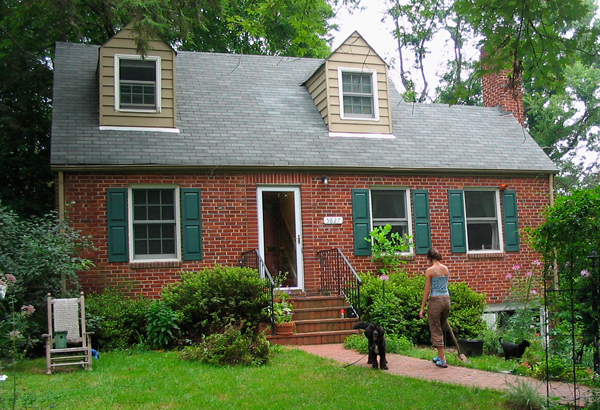 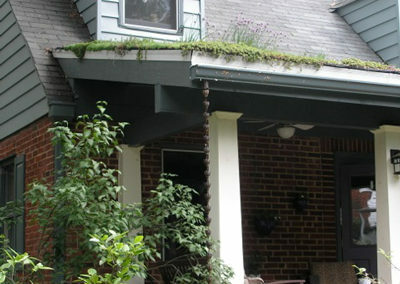 The front porch, added to the home in 2005, includes wide overhangs that shade the porch in summer and a dyed concrete floor with fern and leaf imprints. 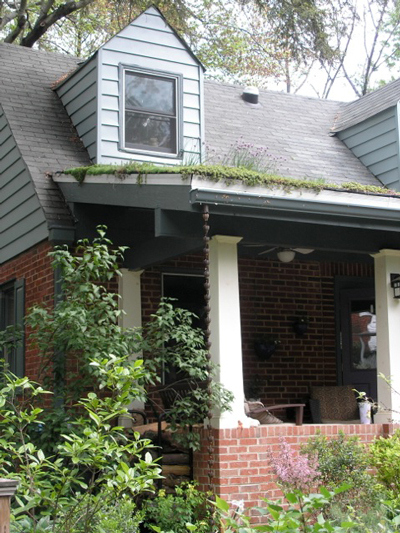 Above the porch, a living roof which filters and absorbs stormwater, is planted with a lush variety of succulents. 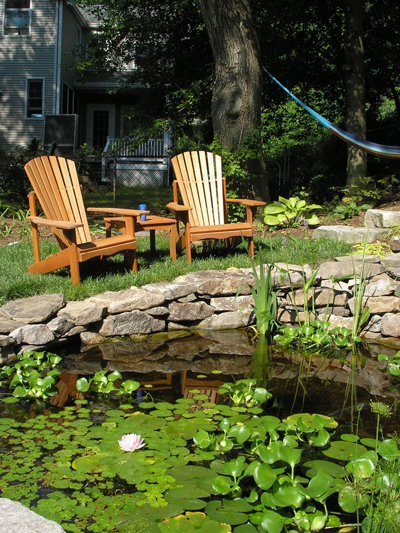 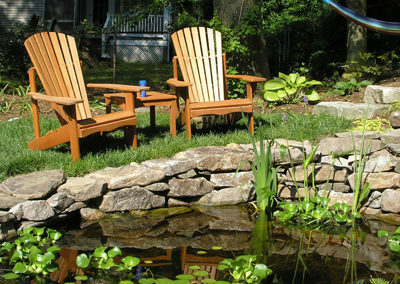 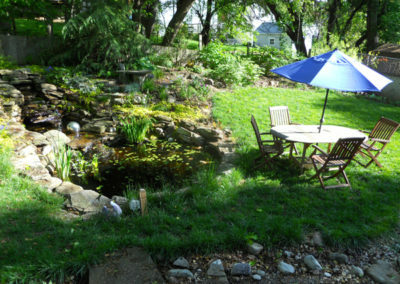 The back yard landscape includes a two-level pond and water garden. 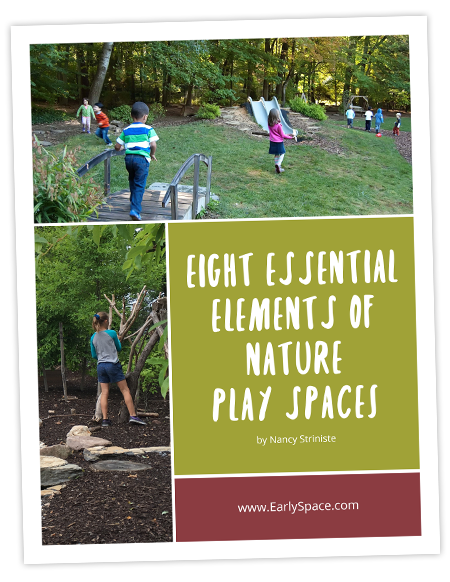 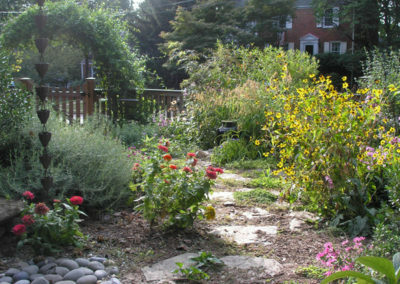 A dry stream crosses the back yard, passes the edible garden (which includes annual vegetables, a fig tree, hardy kiwi vines, blueberry bushes, herbs, strawberries and an asparagus bed) and runs along the east side to the rain garden which is planted with well-adapted native plants. Stormwater from around the property collects here, and soaks into the highly pervious soil within hours.